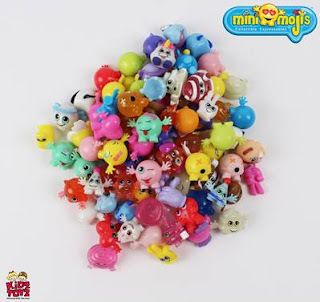 7 Kids and Us: Mini Emojis Toys Are HOT This year! Let's face it Emojis are taking over the world, so much that there is a new movie being made just about Emojis. My kids are part of the growing Emojis craze so of course they look for toys, school supplies, and more to collect. The kids take them to school and trade them with other kids, so much fun! 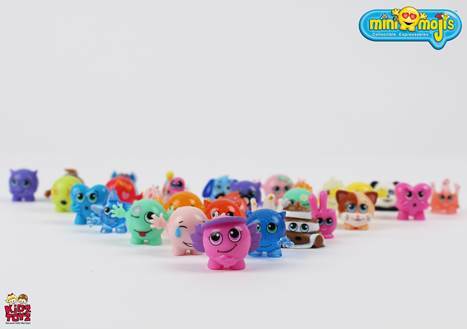 Mini Emojis by Kidz Toyz has released over 100 mini figures which kids can collect and trade with one another. The Mini Mojis™ collection includes over 100 characters, varying by level of rarity and category. Each Moji has their own unique name and personality to match. There are 12 categories of the collectibles including the food inspired Foodeez, the cute and cuddly Petite Petz, and Lil’ Stinkers, everyone’s favorite poop emoji. Round one of the collection is already available in your local craft stores!